Can Nawaz Sharif and Ishaq Dar fix Pakistan’s sclerotic economy? 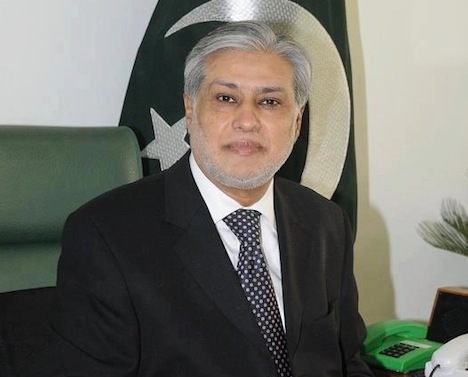 Last week, even before all of the votes had been counted, when it was clear that Nawaz Sharif would be Pakistan’s next prime minister, he named his designee for finance minister — Ishaq Dar (pictured above). Dar served as Sharif’s finance minister from 1998 until Sharif’s overthrow by army chief of staff Pervez Musharraf, and he spent much of his previous time as finance minister negotiating a loan package from the International Monetary Fund and dealing with the repercussions of economic sanctions imposed by the administration of U.S. president Bill Clinton on both India and Pakistan in retaliation for developing their nuclear arms programs. Currently a member of Pakistan’s senate, Dar briefly joined a unity government as finance minister in 2008, though Dar and other Sharif allies quickly resigned over a constitutional dispute over Pakistan’s judiciary. The key point is that even across political boundaries, Dar is recognized as one of the most capable economics officials in Pakistan. First, it marks a change from the incumbent Pakistan People’s Party (PPP, پاکستان پیپلز پارٹی‎), a party that has essentially drifted aimlessly in government for much of the past five years mired in fights with Pakistan’s supreme court and corruption scandals that affect Pakistan’s president Asif Ali Zardari in lieu of a concerted effort to improve Pakistan’s economy. Second, the election results will allow for a strong government dominated by Sharif’s party, the Pakistan Muslim League (N) (PML-N, اکستان مسلم لیگ ن) instead of a weak and unstable coalition government. Finally, Sharif’s party is viewed as pro-business and Sharif himself, more than any other party leader during the campaign, emphasized that fixing the economy would be his top priority. Sharif, who served as prime minister from 1990 to 1993 and again from 1997 to 1999, is already well-known for his attempts to reform Pakistan’s economy in his first term. Sharif will need as much goodwill as he can, because the grim reality is that Pakistan is in trouble — and more than just its crumbling train infrastructure (though if you haven’t read it, Declan Walsh’s tour de force in The New York Times last weekend is a must-read journey by train through Pakistan and its economic woes). The past four years have marked sluggish GDP growth — between 3.0% and 3.7% — that’s hardly consistent with an expanding developing economy. In contrast, Pakistani officials estimate that the economy needs more like sustained 7% growth in order to deliver the kind of rise in living standards or a reduction in poverty or unemployment that could transform Pakistan into a higher-income nation. Already this year, Pakistan’s growth forecast has been cut from 4.2% to 3.5%. The official unemployment rate is around 6%, but it’s clearly a much bigger problem, especially among youth — Pakistan’s median age is about 21 years old. That makes its population younger than the United States (median age of 37), the People’s Republic of China (35) or even Egypt (24), where restive youth propelled the 2011 demonstrations in Tahrir Square. Although Pakistan’s poverty rates are lower than those in India and Bangladesh, they’re nothing to brag about — as of 2008, according to the World Bank, about 21% of Pakistan’s 176 million people lived on less than $1.25 per day, and fully 60% lived on less than $2 per day. To make matters worse, Pakistan has a growing fiscal problem — although its public debt is lower than it used to be, it’s still over 60% of GDP, and a number of problems have led to debt-financed budgets in the past, including a 6.6% deficit in 2012. That sets up a classic austerity-vs-growth conundrum for the Sharif government. On the one hand, the familiar austerity hawks will argue that Sharif should focus on a reform program to lower Pakistan’s unsustainable deficits as a top priority. If, as expected, Sharif obtains a deal with the IMF for up to $5 million in additional financing to prevent a debt crisis later in 2013, the IMF could force Pakistan into a more aggressive debt reduction program than Sharif might otherwise prefer. On the other hand, given the number of problems Pakistan faces, growth advocates will argue that Pakistan should focus on more pressing priorities and save budget-cutting for later. After all, with rolling blackouts plaguing the country, no one will invest in Pakistan regardless of the size of its debt. It’s also important to remember that Pakistan is not Europe — it’s an emerging economy with a young and growing population that could easily grow its way out of its debt problems in a way that seems impossible for a country like Italy or Greece. Despite howls of protest about fraud from the opposition, John Dramani Mahama (pictured above) has won reelection as Ghana’s president in what appears to be an impressive victory for the National Democratic Congress (NDC). Although Mahama ascended to the presidency only in July upon the untimely death of John Atta Mills, his election victory against Nana Akufo-Addo of the New Patriotic Party (NPP) exceeded Mills’s own victory against Akufo-Addo in 2008. Mahama won 50.70%, giving him a margin of victory sufficient for a first-round victory and avoiding a potential runoff on December 28, unlike in 2008, when Mills defeated Akufo-Addo in an incredibly tight contest (and after Akufo-Addo actually won the first round). Paa Kwesi Nduom of the Progressive People’s Party (PPP), who also ran in 2008, finished with 0.59% of the vote, much less than his 2008 total. Akufo-Addo has not yet conceded defeat, however, and the NPP is considering legal action to annul the election result. In particular, the NPP is charging that Mahama’s government manipulated the results of two constituencies, one in the north and another in Accra, Ghana’s capital, to deliver 25,000 extra votes to Mahama, and it has called for an audit of the ballots counted in the presidential election. Although Mahama’s margin of victory was around 326,000 votes, balloting was extended from Friday into Saturday in some regions because of voting glitches. So while it seems doubtful that Akufo-Addo will prevail, electoral irregularities are not necessarily outside the realm of possibility, and NPP supporters demonstrated outside Ghana’s electoral commission over the weekend in protest. Akufo-Addo’s familiarity to voters and his status as a veteran politician made him an incredibly effective challenger, especially because of his seductive platform for improvements to Ghana’s primary education system and a promise for universal secondary education and health care for all Ghanaian children. 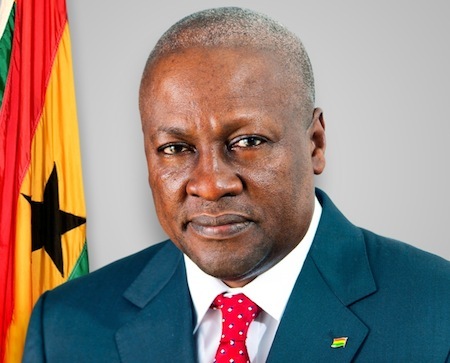 Ultimately, however, Mahama inherited a government from Mills that grew last year at a staggering rate of 14.4% — Ghana’s economy was already doing very well when oil was discovered in 2007 (and first extracted in 2010), and it would have been quite a feat for Akufo-Addo to have defeated an incumbent in a country that marked Africa’s highest growth rate last year. The NDC, under longtime president Jerry Rawlings, stabilized Ghana’s once-disasterous economy in the 1980s and 1990s and set the stage for Ghana’s transformation into a democracy. The weekend’s election marked the fourth consecutive free and fair election since Rawlings peacefully transferred power after the 2000 election to the NPP’s John Kufuor. 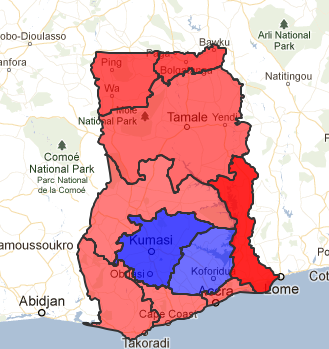 What’s more striking than the total vote, however, is the regional result (set forth below in an election map– red for Mahama, blue for Akufo-Addo). Unlike in 2008, when Akufo-Addo won essentially all of the south of Ghana (except for the greater Accra region in the southeast and the Volta region that runs in a narrow strip along Ghana’s eastern border), Mahama made inroads in what’s been traditionally NPP territory. It’s worth noting, however, that in the dense Ashanti region (the deep blue region on the map), the heartland of the Akan ethnic group (Ghana’s largest), Akufo-Addo won 71.2% of the vote to just 28.0% of the vote for Mahama, and in the Eastern Region (the only other blue region), Akufo-Addo won 56.3% to 42.6% for Mahama. 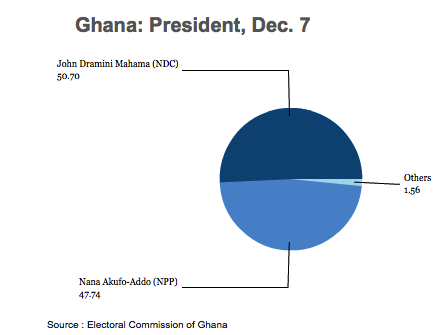 Within the greater Accra region, Mahama won a steady 53% of the vote to 46.2% for Akufo-Addo. We don’t have the full results of the parliamentary elections, which were held simultaneously with the presidential election, but the current count shows the NDC with 84 seats and the NPP with 79 seats. Ghana’s unicameral parliament currently has 230 seats and is controlled (narrowly) by Mahama’s NDC, but Friday’s election featured an expanded parliament with 275 seats. Given the closeness of the election and the flexibility of 45 new parliamentary seats, there’s still a chance that the NPP could control the parliament, despite Mahama’s presidential win, an outcome that would be unique in Ghana’s political history. Who is Nana Akufo-Addo? 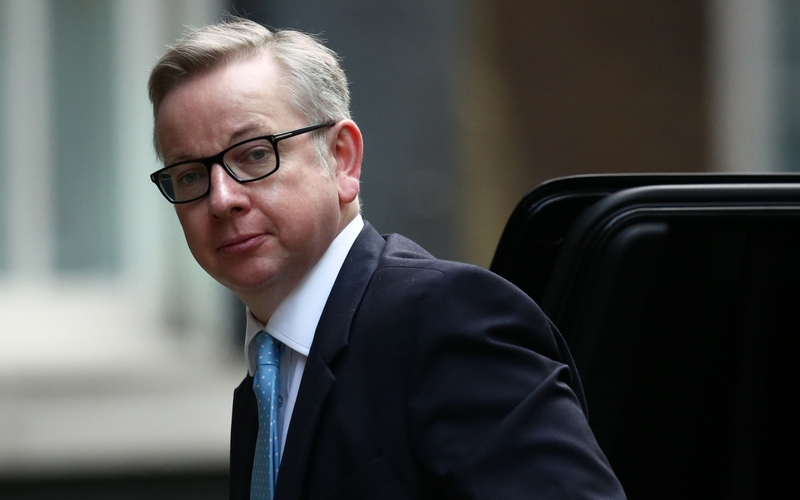 And how would he govern Ghana? Ghanaians go to the polls to elect a president and a parliament Friday, and there’s a good chance they will elect to send a new president to Jubilee House. Although he’s technically the challenger in the race, Nana Akufo-Addo of the New Patriotic Party (NPP) is a narrow favorite to oust John Dramini Mahama, the incumbent and candidate of the National Democratic Congress (NDC), who was elevated to Ghana’s presidency only in July after the death of John Atta Mills, who narrowly defeated Akufo-Addo in the 2008 election by the narrowest of margins. This time around, Akufo-Addo seems even better placed to succeed in a campaign that has featured spirited debate about how best to provide education and health care to Ghana’s youth, how to approach ongoing tensions and instability in Côte d’Ivoire, and how to continue Ghana’s economy, the strongest in all of Africa. Like Mills before him, Akufo-Addo has the advantage of having run in a prior presidential race. In the 2008 election, Akufo-Addo actually won the first round with 49.13% of the vote to just 47.92% for Mills, but lost the runoff, taking just 49.77% to 50.23% for Mills. Before the 2008 election, Akufo-Addo, previously an attorney, served in the administration of former NPP president John Kufuor, first as attorney general, where he worked to repeal the criminal libel law that earlier Ghanaian administrations had used to inhibit free speech, and later as justice minister and foreign minister. As African legal studies scholar Andrew Novak has written earlier this autumn for Suffragio, Mahama has at times looked amateurish and untested against the experienced Akufo-Addo. Although the NPP is seen as traditionally more of the center-right and the NDC of the center-left, it’s Akufo-Addo who has called for a more activist role for Ghana’s government in the current campaign, including free basic and secondary high school education for all Ghanaians as well as free health care for all Ghanaian children. Free primary education is enshrined as a fundamental right in Ghana’s constitution, but quality often falls far below acceptable standards, especially in rural Ghana. 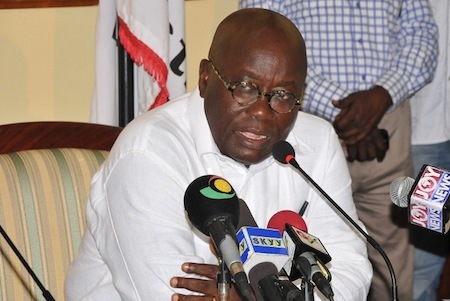 Akufo-Addo has repeatedly and forcefully defended his plan against NDC skepticism that the NPP won’t be able to enact such sweeping reforms; Akufo-Addo, in turn, has criticized the NDC for failing to keep its promises from the 2008 election on health care.